Pizza is everyone's favorite, but isn't always the healthiest choice. 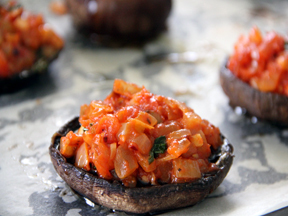 By swapping the carb-y crust with fresh portobello mushroom caps, we created dough-less, guilt-free pizzas that everyone will love. 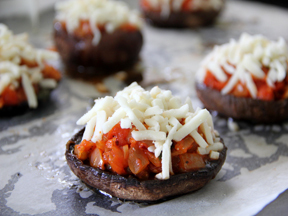 Instead of using store bought tomato sauce, this stuffed portobello pizza recipe shows you how to cook up a quick and healthier version of this crowd-pleasing meal. 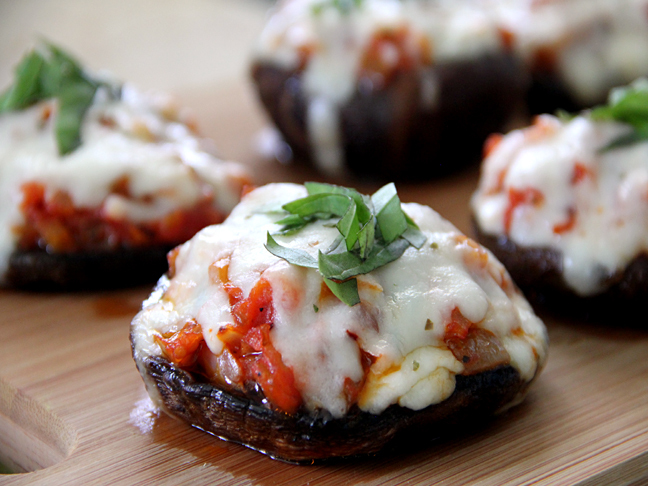 These mini pizzas are all flavor and no carb! Step 1: Preheat oven to 375 degrees. 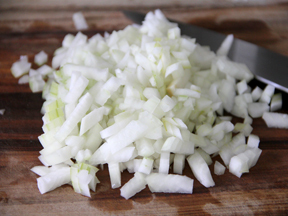 Step 2: Finely chop onion. Heat 1 tablespoon olive oil in a large skillet over a medium-high flame. 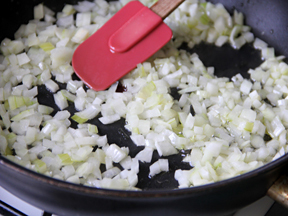 Add finely chopped onion. Cook until soft and translucent (about 5 minutes), stirring occasionally. Step 3: Peel and chop tomato. Mince garlic. 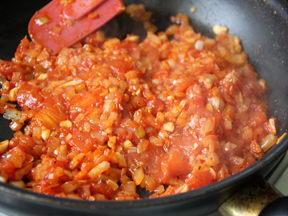 Add chopped tomato and minced garlic to the skillet. 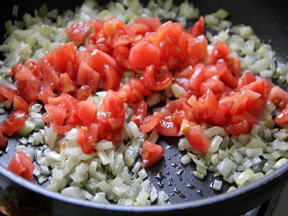 Cook tomatoes until they soften and release their juices (about 5-7 minutes). Step 4: Add tomato paste, oregano, and chili flakes. Season to taste with salt + pepper. Mix sauce well. 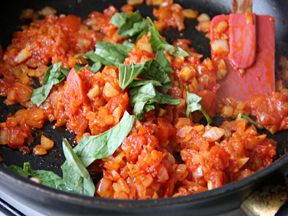 Reduce to a simmer, add torn basil leaves, and cook for an additional 5-10 minutes. 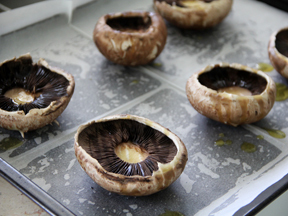 Step 5: On a parchment-lined baking sheet, place portobello mushroom caps (inside facing up). Lightly drizzle with olive oil. Bake for 5 minutes. 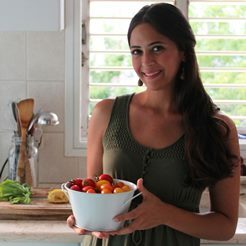 Karen Biton-Cohen is passionate about two things: making wholesome, nutritious food and taking beautiful photos. She studied photography at the School of the Museum of Fine Arts at Tufts in Boston. Her enthusiasm for cooking stems from spending time her mom's kitchen, where she learned techniques for cooking and she completed her formal culinary training in August 2013. Her two great loves collide at K. abc Photography where she shares her daily dishes and recipes. Karen currently lives in Tel Aviv with her husband.